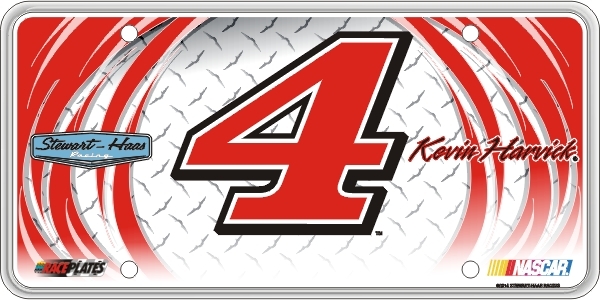 Diamond Series Kevin Harvick Race Plate™ features exciting reflective graphics, driver's number and signature, NASCAR® logo, specific driver's name printed in main body of license plate. The Stylized “29”, the likeness of the Number 29 Race Car and the RCR Checkered Flag Logo are Trademarks of RCR Enterprises, LLC, and are used under license from RCR Enterprises, LLC. The name, likeness and signature of Kevin Harvick are trademarks of Kevin Harvick, Incorporated, and are used under license from Kevin Harvick, Incorporated. The Trademarks “Goodwrench” and “GM” are used under license from General Motors Corporation.